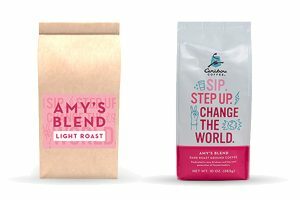 Minor Figures is expanding its range to include ground and whole bean double-origin coffees, to bring its pwn twist to the at-home coffee experience. 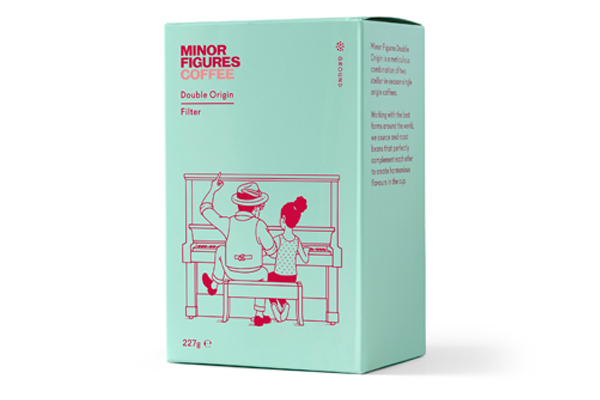 Available from Ocado, Minor Figures say the Double Origin Coffees are a new way to approach blended coffee, with a range that brings together harmonious pairings of Single Origin coffees. Each coffee is chosen to perfectly complement the other, bringing together seasonal coffees from two different farms. The pairings are designed to bring out exciting flavours that explore origin, whilst maintaining balance in the cup. The range includes varieties for filter and espresso, and whole bean and ground coffee. The filter roast celebrates the floral, earthy coffees of Africa, with notes of sweet apricot and cranberry, and a crisp acidity. The espresso roast features two coffees from South America, with darker flavour notes of red berries, chocolate and marzipan. 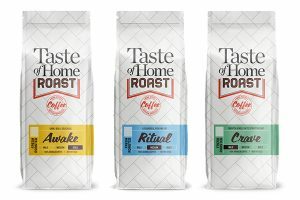 The new range will be packaged in clear biodegradable and resealable coffee bags, housed in brightly coloured, recyclable illustrated boxes. Minor Figures is an East London-based start-up revolutionising the way we drink coffee. Established in 2014, the small team are pioneers of premium nitro cold brew coffee, they were first to market with a cold brew canned drink combining speciality grade coffee with their specially devised oat milk.